Photo from a contemporary newspaper account of the cylinder-slash-impromptu-coffin discovered on a Blitz rubble site in 1945. People think of the Blitz as something that happened to London, but cities all over the United Kingdom were subjected to German bombing, the pressure only coming off when the Luftwaffe switched their attention to the newly opened Eastern Front in 1941. Liverpool was one of the victims, and indeed suffered the second most intensive bombing in the country due to its westward-facing port, which was instrumental in the early Battle of the Atlantic. It was as this time that an area of small streets wedged into the triangular junction of Great Homer Street and what is now the A59 was bombed into non-existence. After the immediate fire-fighting and rescue work were done this zone of destruction lay more-or-less untouched until 1943 when, as a later witness named William Pemberton (who lived just outside the wasted area) testified, a work crew of American soldiers armed with a bulldozer and many shovels had levelled the ground and cleared away the rubble. More to the point of our story, he also testified that he saw them uncover a metal cylinder (later measured as 6’9″ long and 19″ in diameter, or 205 by 48 centimeters) during the course of the operation. 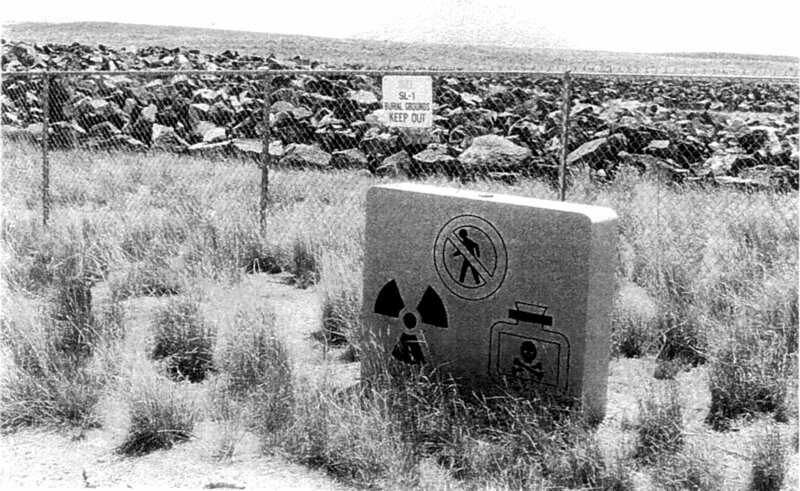 While it’s not recorded one imagines there were a few anxious moments until they determined that they’d not come across an unexploded bomb but then, reassured, it was moved off to the side of the cleared area. Fast forward to July 1945. In the interval the cylinder became a minor part of the neighborhood. It was sometimes used by the locals as an impromptu bench and children climbed over it and rolled it around for a playground amusement. One end of the tube was closed and one had been crimped off by the bulldozer that uncovered it, and that end had re-opened enough for a boy to discover something in it: a skeletal foot. The boy fetched P.C. Robert Baillie, on patrol on a nearby street, and he called in the detectives to start an investigation. They took the cylinder into their possession and had its 5/32-inch steel cut open by a local welder at the city mortuary, attended by a forensics expert and two coroners. In it was an entire male skeleton, about six feet tall, dressed in clothes of a late Victorian style and with a portion of hair still attached to the skull. A brick wrapped in burlap stood in stead for a pillow. Quite naturally they believed the body to be of a victim of the Blitz—a young man named Flood had never been accounted for at the time—but this was quickly ruled out. The clothes and other remains strongly suggested that a recent victim should be ruled out anyway. There was a London North Western Railway notice indicating the arrival of goods, dated June 27, 1885 and a postcard from Birmingham dated July 3, 1885. There were two diaries for 1884 and 1885, but unfortunately they were illegible. Some papers were found under the body in a mass of adipocere and after careful restoration they were found to be a receipt and several account sheets for a company named “T.C. Williams & Co.”. There was also a gold signet ring inset with a bloodstone and hallmarked 1859, and seven badly corroded keys. The left side of the skull was damaged, though the coroner would later conclude that this had happened post-mortem—not too surprising if the remains had survived through an aerial bombing and a bulldozer driving over them. Investigation into Merseyside history showed that there had been a paint manufacturing plant in the area, owned by one Thomas Cregeen Williams during the 1870s and 1880s. It had run into financial trouble and closed in 1884, and Williams then disappeared from the record by 1885. The coroner testified at the inquest into the discovery that he thought the man in the cylinder was perhaps ten years dead, though he allowed that 1885 was within the realm of possibility. Trying to square the more-recent date the police investigated the theory that the body might be that of a son of Williams’ known to have the same name, and that he merely had some of his fathers’ papers in his possession when visiting the site years later. This too was ruled out: he was found to have died and been buried in Leeds in 1919. Tellingly, no-one was able to find a burial record for the father. Amazing as it was, it seemed that the body had been stuck in the cylinder for sixty years before being discovered. It was determined that it was part of a ventilation shaft, but the question that was not answered—and that remains unanswered—is how the elder Williams (if that was indeed who it was) ended up in it. Was he a suicide, despondent over the loss of his factory, who crawled into the shaft for some final privacy? Or was there a murder involved, with who-knows-who killing Williams in anger over debts or who-knows-what-else reason? Alternatively, was it just misadventure, with Williams in the shaft when he died of natural causes, or was perhaps overcome by the paint fumes that were presumably ventilated through it? A recent theory has been floated that the body was not Williams at all, but rather someone murdered in relation to the factory closing then stashed in the cylinder by him. Williams’s dropping from sight after 1885 would then be because he skipped town and changed his name, perhaps taking one of the many ships that would have left Liverpool that week for North America and points even further abroad. Ultimately they could not find the answer. On August 20, 1945 the inquest into the matter ended with an open verdict of “death by unknown means”. The area where the cylinder was found was never built up again, so if there are any remaining clues they can be found under the sod of a triangle of open land—a residential apartment and car park at the south end, a large anchor commemorating Liverpool’s maritime history to the north—now covered by a few trees. It’s been a long time: welcome back any and all reading this. Since we last met I’ve been off writing another blog/book, False Steps: The Space Race as it Might Have Been, and the last little while has been spent revving up for a science fiction novel. In honor of the Passing Strangeness book being published (finally!) however, I felt it was time to dust things off here and start writing about what old and weird corners of history I’ve encountered since the last post here. Feel free to take a peek at the book’s webpage, visit the sister site linked above, poke around in the archives, or just scroll down a bit to read what may become the first essay of Passing Strangeness, vol. 2. 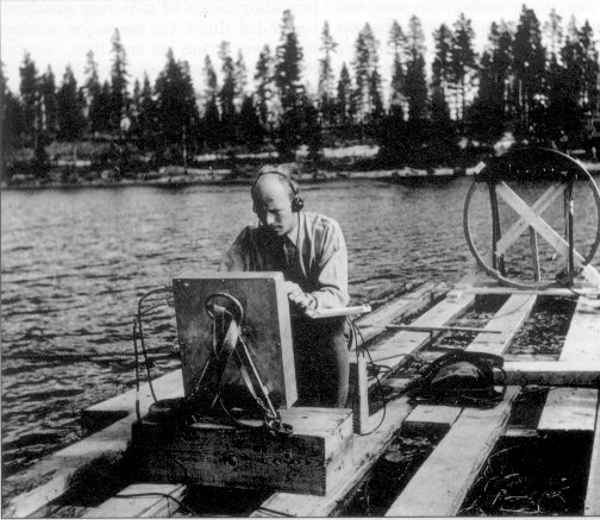 Karl-Gösta Bartoll searching for a crashed Ghost Rocket on Lake Kölmjärv, 1946. Public Domain image from the Swedish Air Force via Wikimedia Commons. It was May of 1946 and Europe had finally reached the end of World War II. Even so, its effects were still reverberating around the continent and disturbing the new peace. Greece had descended into civil war a few months earlier, and the Soviet Union was lowering the Iron Curtain—as was famously pointed out by Winston Churchill in March of that year. Sweden had managed to avoid the conflict by maintaining neutrality where they could and occasionally favoring the Nazis or the Allies as necessary. With the fall of Germany, though, the government of Per Albin Hansson was looking nervously at the Soviet Union. Sweden and Russia had been traditional enemies through the 1700s, culminating in the conquest of Finland by the Russians at the end of the Napoleonic Wars and its transfer from Swedish sovereignty. Now after three decades of independence Finland was back under the informal control of Moscow (leading to the new word “finlandization“) and the Swedes were concerned that they were next. Flying missiles were first reported over southern Sweden in late May 1946 by the press, which gave the missiles the name of ‘Ghost Rockets.’ In June, these missiles also had been reported over Finland and Denmark. By July, the number of sightings over Sweden had greatly increased, and several also had been reported over Norway. The great majority of these reports were made by untrained observers and, as would be expected, vary widely in the description of the actual missiles as well as, of their course, altitude and speed.…The two most common descriptions of the missiles were ‘a ball of fire with a tail’ and a ‘shiny cigar-shaped object.’ The reported direction of flight covered all points of the compass, with a northerly direction being slightly predominant. Variations in altitude ranged from treetop height to 160,000 feet, the higher altitudes almost exclusively being reported from Finland. Speeds reported were from 65 m.p.h. to ‘lightning fast,’ with the majority described as having great or very great speed. The missiles generally have been reported as diving into the ground or into lakes, or exploding in the air. One was even photographed by a young Swedish couple, Erik and Åsa Reuterswärd, during the day on July 9th. After hearing an appeal from the Swedish Ministry of Defense for any evidence of the rockets they sent in their photo, which was eventually published by the Swedish press. In all there were over 2,000 reported sightings, with the last only coming in December, 1946. Suspicion immediately fell on the Soviet Union, which had conquered the German rocketry centre at Peenemünde, on the south side of the Baltic Sea across from Sweden. This wasn’t the first time Sweden had dealt with rocket overflights. On June 13, 1944 a V-2 (this one fired by the Germans, who still controlled Peenemünde at that stage of the war) went off course, passed on to the Swedish mainland, and exploded roughly a thousand meters above the town of Bäckebo. A great deal of debris rained down, was collected, and was eventually traded to the UK for several Spitfires. 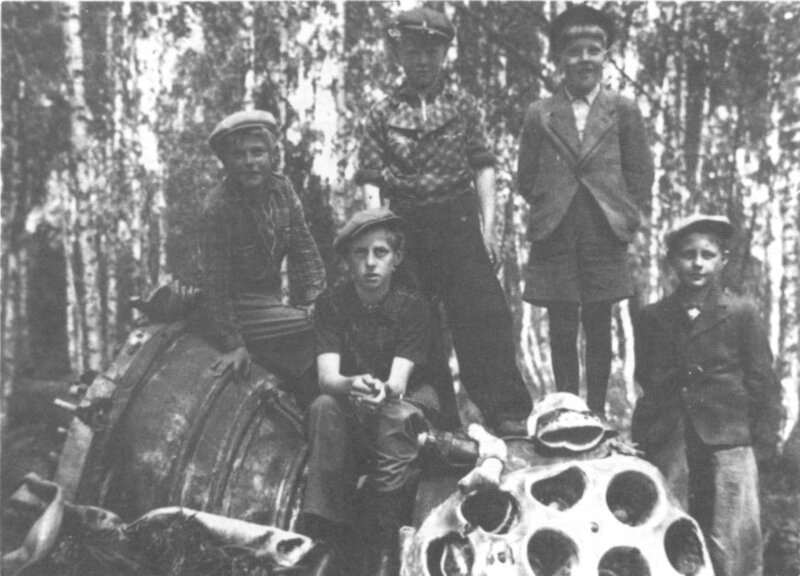 It, along with other rocket parts recovered by the Polish Home Army, was important in the Allied effort to reconstruct and understand the V-2. This is also, unfortunately, the major problem for the theory that the Ghost Rockets were Soviet tests. Despite considerable effort by the Swedish government, not a single piece of undeniable rocket debris was recovered from the supposed overflights of 1946. At the time the Swedish Defense Staff said they had recovered several bits and pieces, but eventually they were all pinned down to more mundane origins. Much more typical was the result of an intensive push to find debris after a reported Ghost Rocket crash into Lake Kölmjärv on July 19th: nothing. The officer in charge of that search, Karl-Gösta Bartoll (pictured above) stated that he believed the bottom of the lake had been disturbed, so the crashing rocket must have been made of some lightweight alloy that broke up completely. It’s an interesting theory, but another potential reason for the negative result should be obvious to the reader. The Bäckebo rocket yielded pieces weighing up to several hundred kilograms; the Ghost Rockets in their hundreds produced no exhaust nozzles or fuel lines, not even a nut or a bolt. So what else might they have been? 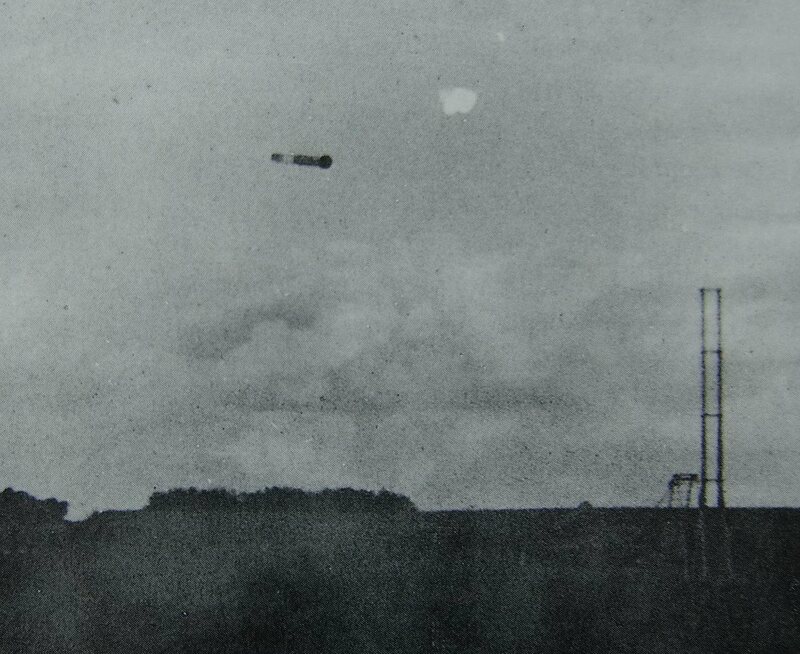 Two British officers from the then-existing MI10 who helped the investigation in the fall of 1946 noted that many of the Ghost Rockets were seen on August 9th and 11th. Those dates have those of you who are astronomically inclined saying “A-ha!“, but for everyone else’s benefit: they’re in the middle of the annual Perseid meteor shower. The main explanation seems to be that people, primed by recent rocket stories to keep an eye on the sky, noticed many more meteors than they normally would. It’s been pointed out by later commentators that the sightings on those two days were not at the usual height of the Perseids (early in the morning before sunrise, when the Earth rotates into the path of the cometary stream that causes the meteors), but then meteor showers do have many more stray bits of debris spread outside of their nightly peaks. So meteors are at least part of the answer, but possibly not its entirety. After all, the earliest Ghost Rockets were seen in May, well before the Perseids came along. The British report assumed that the others were also meteors, just reported less often because they were from lesser showers or so-called “sporadic meteors” and so less noticeable. In theory all it would take would be one person seeing a meteor in May, then concluding that it was a rocket and getting that into the media, for everyone else to start looking at the sky and seeing (and misinterpreting) things they didn’t normally notice. Certainly other mysterious waves of events, like the Seattle Windshield Pitting Epidemic, can be explained by a combination of media attention and geopolitical tension. There are signs that the Ghost Rocket story was out of control to some extent. For example, the crash of a Saab 18 bomber on August 12th was reported in the press to have been the result of a collision with a Ghost Rocket, even though the Swedish Air Force attributed it to pilot inexperience. The psychological explanation gets a further boost when one realizes there was even another, smaller burst of similar sightings in Sweden in the 1930s, when certainly no-one had the ability to launch missiles over the country. So assuming it’s meteors for most of the sightings, is it still possible that a few of the Ghost Rockets really were V-1 and V-2 tests by the Soviets? There’s a residue of reports that don’t fit the meteor theory very well—the “shiny cigar-shaped object[s]” in the long quote above. The Russians are known to have restarted rocket parts production in Germany for a while in 1946, and they may have used some of them. It is worth noting that Peenemünde was heavily damaged when it was captured by the 2nd Belorussian Army Group in May of 1945, so it would have been difficult, if not impossible to conduct tests from there. The German-made parts didn’t get any known use until 1947, after the USSR had deported German rocket scientists and engineers to southern Russia; the first documented Soviet V-2 tests were in 1947 at Kapustin Yar, near Astrakhan and far, far away from Sweden. Tests of captured V-1s (a much simpler rocket) began as early as March of 1945, but they were even further east near Tashkent. Still, in the Byzantine maze that is Soviet archive secrecy it may be that we simply haven’t seen any documentary proof of earlier tests yet. Until then, though, the Ghost Rockets seem to have been a remarkable case of mass delusion. The Isles of Scilly as seen from the air. All of the water between the islands on the left and most of the water between them and St. Mary's, the large island on the lower right, was dry land as late as 500 AD. Photo by Mike Knell, taken in March 2009, and made available under a Creative Commons Attribution-Share Alike Generic 2.0 License. Sunk lies a town that Ocean mocks. The Isles of Scilly barely enter into history. About the only major event associated with them was the Scilly Naval Disaster of 1707, when the gloriously named Admiral Sir Cloudesley Shovell sailed a significant fraction of the British Navy into their shallow waters, losing four ships and approximately 1,400 sailors’ lives—including his own. The disaster led to the solution of the Longitude Problem by means of naval chronometers, and as these precise clocks spread they and their descendants revolutionized war, industry, trade, and science. Thank Admiral Shovell when the alarm clock wakes you tomorrow morning. However, the other particularly interesting thing about the Isles of Scilly looks back into the past rather than forward into the Industrial Age. Britain is lousy with towns and even entire lands lost to the sea. H.P. Lovecraft was influenced by the story of Dunwich in Suffolk: one of the most important towns in medieval England, it was progressively swept into the ocean after a storm surge hit it in 1286. A bit further east the central part of the North Sea covers Doggerland, which was above sea level during the last Ice Age and only submerged about 6500 BC; the author owns a chunk of mammoth tusk dredged up from the area. The effect of the Ice Age on Britain hit Scilly too, but in a less obvious way. The southern half of Britain is further underwater than it should be after accounting for the melting of ancient ice caps, while the north is, in places, actually higher than it was at the Last Glacial Maximum, 20,000 years ago. This is because one of the ice caps was actually on Scotland and Northern England, and the weight of the ice pressed that section of the island down. Now that the ice has been removed, Britain has been slowly rebalancing itself, and the southern reaches are subsiding as the north rebounds, like a great tectonic see-saw. This post-glacial rebound is continuing even as we speak, so the Isles of Scilly—literally the most southern point of England—have changed well into the last couple of millennia. It’s worth looking at the British Admiralty’s depth charts for the waters around the islands. The rather small brown areas are the present-day Isles, while the green represents flats that can become exposed if the tide is low enough. The blue area is a rough approximation of what Scilly would have been like some time in the past, with a depth of four meters or less. As you can see, this produces a single large island (sometimes called Ennor after a castle on the largest of the present islands, St. Mary’s) out of most of the plural, 21st century Scillies. The main difficulty here is knowing just when this island existed. Charles Thomas, emeritus Professor of Cornish Studies at Exeter University has suggested it disappeared some time around 1600 BC, but others have suggested that it existed until more recently—possibly as late as 500 AD. It’s worth noting that the Roman name for the Isles, Scillonia insula, is singular. If the latter is true then Ennor existed well into the Celtic period of Britain, which is interesting because there are several legends about drowned lands in Celtic mythology. Readers who know their Thomas Malory (or Jack Vance) are aware of Lyonesse, home of the Arthurian Tristan, and Lyonesse has long been associated with the Isles of Scilly. However, there are signs that the association is a 16th-century invention. The first known mentions of Lyonesse in literature are just variations on Lodonesia, which is the Roman name for Lothian in Scotland; “Tristan” itself is just a variant, via Latin, of the Pictish royal name “Drust″. The identity of Lyonesse and Scilly (or, rather, the Seven Stones Reef , deathbed of the Torrey Canyon, to the northeast) wasn’t entirely cemented until Alfred, Lord Tennyson got his hands on it in his mid-19th century Idylls of the King. All is not lost, however. The Celtic legends go deeper than Lyonesse, to stories such as Brittany’s Ker-Is (or Caer Ys, if you prefer the more common Welsh or Narnian spelling to the Breton). It too is a sunken land, this time placed in Douarnenez Bay south-east of Brest. 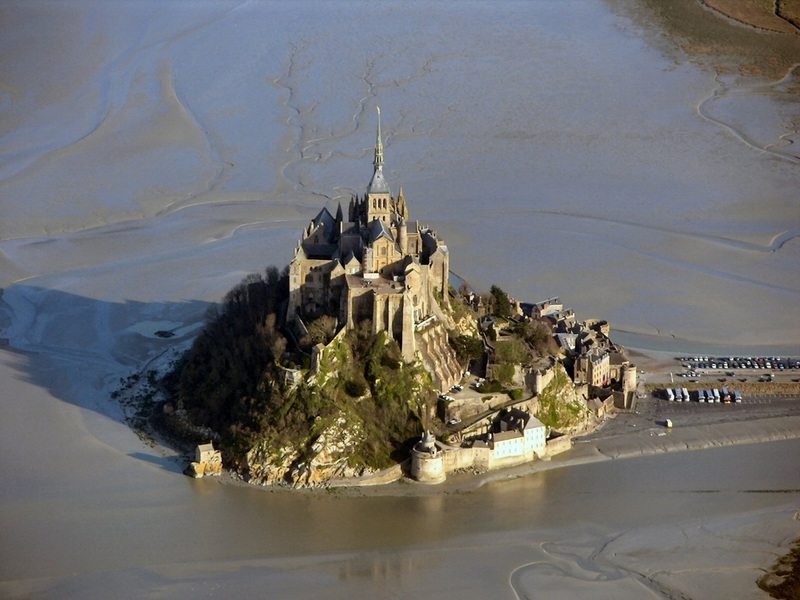 There is even a potential connection between it and Scilly: Mont Saint-Michel is not too far away on the border between Brittany and Normandy and it was the sister house of the remarkably similar-looking St. Michael’s Mount in Cornwall—right where the British coast is closest to Scilly and where a drowned forest can be seen at low tide. It doesn’t take a lot of imagination to suppose a Breton monk, familiar with the story of Ker-Is, being transferred to St. Michael’s Mount when it was gifted to the Norman monastery in the 11th century and him making the obvious inference when he saw what was in the water. On the other hand, the story may be entirely native. The Welsh have a similar legend, Cantre’r Gwaelod, which is supposed to be a drowned hundred in Cardigan Bay. If it comes down to it, the story could even be both native and imported. After all, Brittany was colonized by Britons from Wales and Cornwall in the 4th and 6th centuries (a trek legendarily led by a Welsh prince whose name hits two fantasy heroes in one blow, Conan Meriadoc). Ker-Is may just be the colonists’ version of Cantre’r Gwaelod, 1500 years on. The main difficulty with fitting Ennor to any of these stories is that they’re all of sudden inundation. Most are about sinful lands suffering the wrath of God and feature a single survivor literally galloping his horse away from the clawing waves—a myth memorialized in the coat of arms of the Trevelyan family of Cornwall. The flooding of Scilly’s central plain would have taken many years; a snail could have escaped, let alone a horse. Still, this isn’t a fatal rupture of the connection between the two. Human beings have a knack for making stories more interesting, and it’s not too difficult to see a folk tale that “once there were farms under the bay” slowly turn into a story of dash and adventure, especially under the influence of the biblical story of Noah. Ultimately, we’ll learn more about Ennor only through archaeological investigation. Surprisingly for the heritage-mad United Kingdom there’s never been a large-scale investigation of the waters around the present-day isles. But the so-called Lyonesse Project began in 2009, and is to run until 2011. Its goal is to determine what the Isles of Scilly were like prior to inundation. Results are expected in the next few months.